I don’t know what it is, but I haven’t been happy with anything I’ve been trying to knit lately. 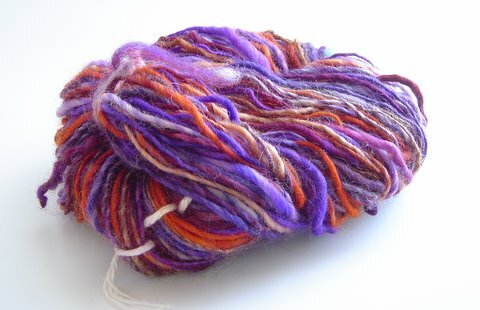 This is from the Hello Yarn Fibre Club – Toxic – I think it was the November selection. Isn’t it purty? This was my 2nd choice when I was looking at spindles last year. 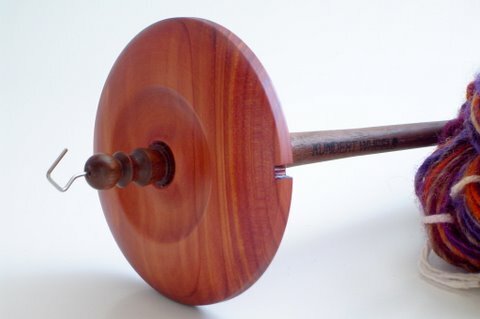 It’s a Kundert – Cedar whorl, walnut shaft. It weighs 1.2 ounces. 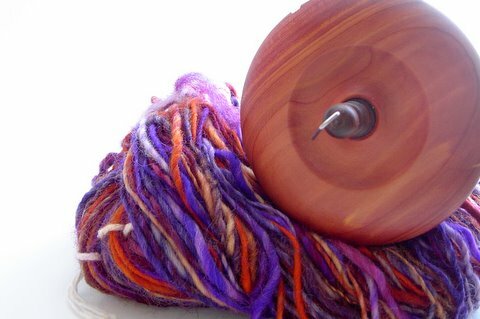 I like it and it spins nice, but my kokopelli spindle is still my favorite. 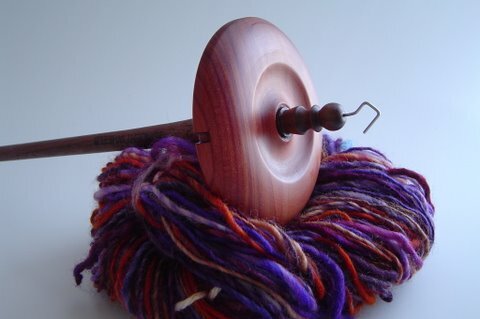 Now… which spindle shall I get next. 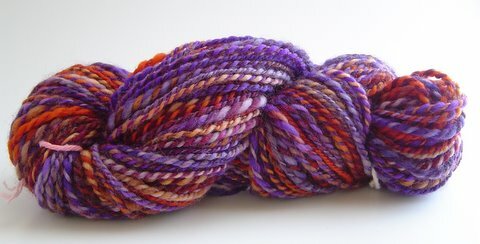 I finally started spinning one of the fibers I got from the Hello Yarn Fiber Club. This is the November 2007 fiber – Superwash Corriedale Wool Top. It’s called ‘Toxic’. It has a longer staple than merino, which took some getting used to. I’ve read that Merino is harder for beginner’s to spin because of it’s short staple, but I never had issues with Merino. I think this fiber is more of a challenge. I totally had another post in mind when I found all these photos of my camera.